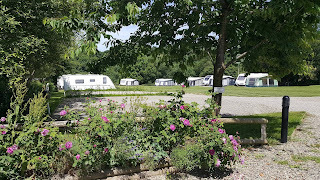 Dolbryn is a family run campsite located in a beautiful part of Carmarthenshire at Newcastle Emlyn. At Dolbryn we aim to provide a place where guests can rest, relax and enjoy some well-deserved peace and tranquillity, away from the hustle and bustle of modern day living. 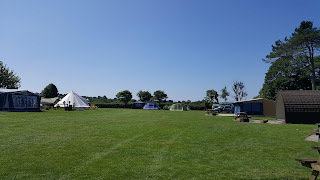 When camping at Dolbryn, you have a choice of 3 fields to stay in. We welcome tents, touring caravans, trailer tents, motorhomes and campervans. Choose from the electric pitches on the meadow of the Lakes field which overlooks our fishing lake, or the lovely grassy pitches of the Pines field which is close to the play area and animals. Non-electric pitches are available in Mountain View, which has far-reaching views and beautiful sunsets over the Preseli Hills. For those who love camping but don’t want the hassle of packing and unpacking the tent, we have a comfortably furnished ready tent available for guests to use. The ready tent can sleep a family of 5 in a double bed and camp bunk beds. Our beautiful wooden camping pods are locally crafted and are perfect for a camping holiday without a tent. All our pods are insulated to keep you toasty and have fully lockable French doors. Each pod has electrical sockets for your gadgets, as well as a small heater and a kettle. There is a spacious balcony outside for cooking and we provide a camp kitchen cupboard for you to store all your cooking essentials. We have 2 different pod sizes available so whether you are a couple or a family we have a place for you to stay.